We manufacture embossing rollers for textile, plastic, paper etc. 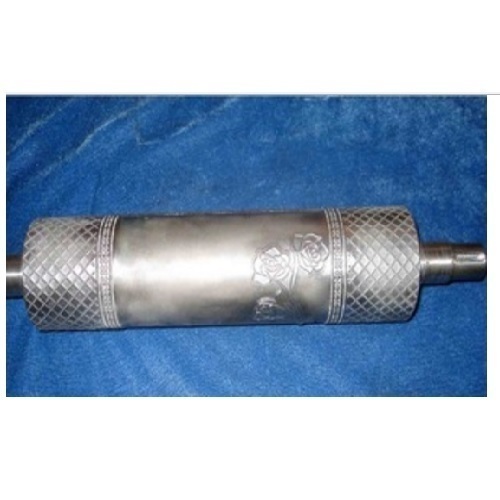 We use both the mechanical and chemical etching process for making embossing rollers. Established in the year 1993, we, "Eeshaan Automation Private Limited", are engaged in manufacturing and supplying Industrial Rollers, Sleeves and Pulleys. The range offered by us encompasses Weighing System, Printing Rollers and Steel Rolling Mill Rollers. These products are developed using optimum-grade materials like steel, aluminum and basic components that are obtained from the reliable vendors of the industry. Manufacturing the entire range in tandem with the guidelines laid in the industry, we aim to attain highest benchmarks of quality. Our business activities are handled by our team of diligent and skilled professionals, which is well-versed in their respective domains. These professionals work round the clock to leave no scope for defects in the products. Hired after rigorous assessment of their knowledge and skills, our professionals are the backbone of our organization. Also, with the help of our team of logistic personnel, we are committed to dispatch the entire range in committed time-period to the clients' premises. Tata International Limited and Cosmo Films Limited are our prominent customers. We have been able cater a huge clientele across the global market.